$15,000 to Neighborhood Solutions, Inc. (NSI) for workforce expansion at Chateau Hough Vineyard and Winery. 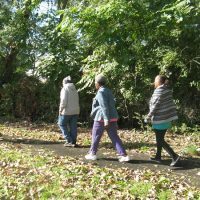 Since 2004, Neighborhood Solutions has served the Hough neighborhood with a dual focus to help residents with short-term employment and to create a healthy, vibrant neighborhood. Chateau Hough – NSI’s most visible project since 2010 – has served as an urban agriculture education site for hundreds of volunteers, and as a workforce training site for youth and adults returning to the community after incarceration. In 2018, Chateau Hough wine will be ready for bottling, distribution and sale. Our grant will support staff training and startup staffing costs associated with manufacturing the wine, along with operations of a tasting room at the winery. $65,000 to EDWINS Leadership & Restaurant Institute, an organization dedicated to giving formerly incarcerated adults a foundation in the hospitality industry while providing the support network necessary for successful reentry. Our February grant to EDWINS supports education and case management services for culinary students re-entering the workforce. Our latest grant builds on nearly $165,000 in previous support to EDWINS for startup and capacity-building. Want to learn more about EDWINS? Check out the Oscar-nominated documentary short Knife Skills. $200,000 to Lutheran Metropolitan Ministry (LMM) continuing our support for the organization’s social enterprise initiatives serving individuals facing significant barriers to employment. LMM’s social enterprise initiatives include Metro Metal Works, which produces bike racks crafted by individuals learning a marketable job skill, and Central Kitchen, which gives previously incarcerated individuals experience and certification opportunities in the food services industry. We helped LMM launch its social enterprise initiatives in 2011, and have provided support as operations have evolved and expanded since then. This latest grant aims to strengthen the programs’ workforce and supportive services to help more people access and successfully complete the programs. $195,525 to Ursuline College, continuing our support for its Scholastic Tools & Teams for Educational Performance Ursuline Pre-Nursing (STTEP-UP) program. In 2017, we partnered with Ursuline’s Breen School of Nursing to create this pilot program for students from diverse racial, ethnic and socioeconomic backgrounds – with a preference given to Cleveland Metropolitan School District graduates. 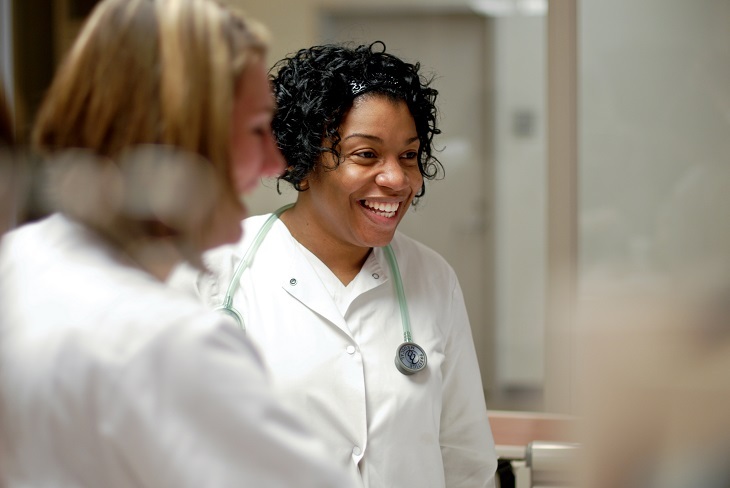 The program aims to address the anticipated shortage of nurses, with 7,000 vacancies forecasted for professional registered nurses in Greater Cleveland by 2020, and also seeks to promote greater diversity in the nursing workforce, with ethnic minorities currently comprising less than 8% of the registered nursing workforce in Ohio. Our grant supports the first cohort of students as they enter the second semester of their sophomore year, as well as the recruitment of new students for the second cohort of the STTEP-UP program. $175,000 to Greater Cleveland Volunteers (GCV), continuing our support for the AARP Foundation Experience Corps literacy tutoring program. The Experience Corps tutoring program matches older adults with K-3rd grade students who are reading below grade level. Through one-on-one sessions, the tutors help students improve literacy skills while also increasing their interest in learning and self-confidence. 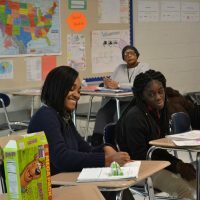 The program, which GCV operates in the Cleveland Metropolitan School District and Euclid City Schools, serves nearly 500 students and has proven effective in increasing literacy skills and improving classroom behavior. The AARP Experience Corps is one of a number of programs associated with our Encore Cleveland initiative, which seeks to leverage the energy and experience of Americans who seek to fill community needs upon retirement or near the end of their primary careers. $35,000 to Cudell Improvement, Inc. for relevant programming to meet the cultural and wellness needs of LGBTQ seniors at A Place for Us. Now in its first year of operation, A Place for Us is an affordable senior housing facility open to all low-income seniors, but intended to serve as a safe and welcoming environment for Cleveland’s aging LGBTQ population. Our grant will support staffing and inclusive programming to provide a sense of community among the diverse residents at A Place for Us and to build a positive connection with the surrounding neighborhood. $7,700 to St. Vincent Charity Medical Center to help continue its Substance Abuse Education Program, launched in 2017 in response to the growing nationwide overdose and addiction crisis. The program is designed to target individuals who display signs and symptoms that indicate they’re at risk of becoming addicted. It seeks to prevent addiction through free classes and support networks for individuals – and their families – who have mild substance abuse disorders. In its first year, the Substance Abuse Education Program served 194 individuals and their families from across Greater Cleveland. Our grant will help the program continue in its second year. 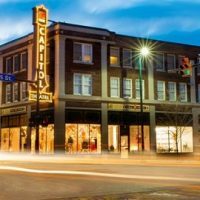 $20,000 to Universal Health Care Action Network of Ohio (UHCAN), a statewide organization dedicated to building the voice of consumers to inform healthcare decisions and promote access to affordable, quality healthcare for everyone. Our grant will support UHCAN’s efforts to work in the community to educate, engage and mobilize communities of color in regards to proposed changes for Medicaid eligibility. UHCAN will partner with the faith community, community-based organizations and health centers to hold meetings and spread awareness about these important coverage changes. $125,000 to MedWorks to pilot a community-based patient self-collection model for colon and cervical cancer screenings in Glenville and in the Amish community in Geauga County. MedWorks has provided large-scale, community clinics offering free medical, dental and vision services for those in need, serving more than 14,000 uninsured or underinsured individuals in Northeast Ohio. Our grant will help provide staff, pre-screening test kits and medical services, transportation, and other patient costs. Apologies I should have broswed down to your post before making similar point above. Are you aware of any plans to fit LMM to Reaper? Traditionally held on April 16th, LMM will be marking the occasion for an entire week with a goal of hosting the largest and most impactful NHDD in the country…ever!